If you’re thinking about selling, it is important to realize that not all generations look for a home the same way or with the same features. It is important to pay attention to the new generation as they are going to make an impact in the real estate market now and the future. Here are a few ways to make your home more appealing in the changing real estate economy. 1. Well-Equipped Kitchen: When you're selling your home, having an up to date kitchen is one of the most critical elements to engaging a buyer. 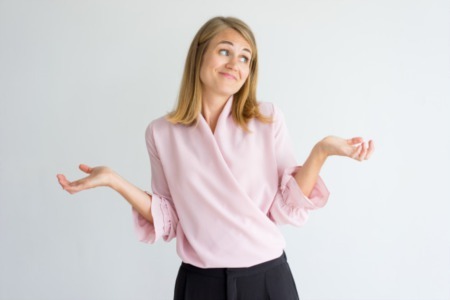 Ask any broker, and they will tell you the same thing. Unfortunately, renovating an entire kitchen is extremely pricey but giving a modern touch to your home is always helpful. Not all kitchens need a complete renovation. Sometimes refacing your cabinets are perfect and even something as simple as new pulls or appliances can give your kitchen what it needs to be attractive. 2. Outdoor Living Rooms: An Exclusive Survey says that 77% of "Next Gen" buyers want living spaces that combine "Smart Homes and Smart Design." They prefer smart, stylish homes that enable them to connect with others and exterior features that rank most highly on the list include improved landscaping, upgraded lighting, and a new front door. 3. Updated Interior: The younger generation believes in smart work, not in hard work and would always love to go with the updated trend without any second thoughts. 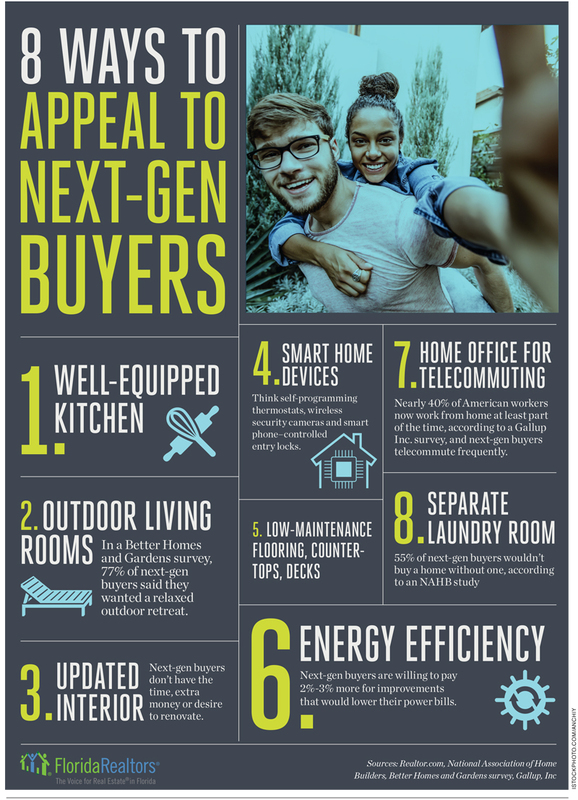 Next-gen buyers don’t have the extra time, extra money or desire to renovate. 5. Low-maintenance Flooring, Countertops, Decks: Composite or synthetic decking is the ultimate choice for the next-gen home buyers as it offers a eye-catching look to the home and its maintenance is as easy as counting 123. Look for a model with a high Combined Energy Factor (CEF), which is a measure of overall energy efficiency. Next-gen buyers are willing to pay 2%-3% more for improvements since their only goal is "Reduced Power Bills." 7. Home Office For Telecommuting: Telecommuting is more than just being able to reach your laptop from your bed. You need the right equipment, services, and SPACE. Being in control of your workspace is great, but maintaining a healthy and productive home office takes thought, planning, and year-round attention. Nearly 40% of American workers now work from home at least part of the time, according to a Gallup Inc. survey, and next-gen buyers telecommute frequently. 8. Separate Laundry Room: Having an entire room dedicated to laundry is not something everyone is accustomed to, but it’s actually a very practical idea the next-gen buyers prefers. Managing to fit everything you need in a small laundry room is not easy. Aside from the washing machine and the dryer, there are tons of other aspects you need to take into consideration. 55% of next-gen buyers wouldn’t buy a home without one, according to a NAHB study. Remember, the money you put into these eight appeals is an investment, and when you sell your home, it should pay off!